POS software screen design improves retail sale throughput | Tower Blog | A blog about smart POS software for independent small businesses. 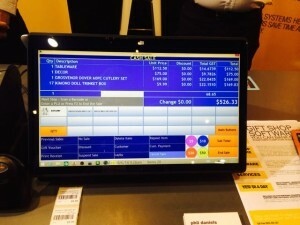 The design of a POS software screen can make or break the use of the software. Tower Systems delivers a professional screen for the sales counter, one that is easy to learn and follow, a screen that is straightforward and one that guides the sales process. Tweaked and adjusted over the years, Tower Systems through its software helps retailers to transact efficiently, accurately and valuably – delivering smooth service to customers and valuable business for the business itself. The decades of experience of the Tower team shows off in the evolving POS software screen design.